Are you a visual person like me? 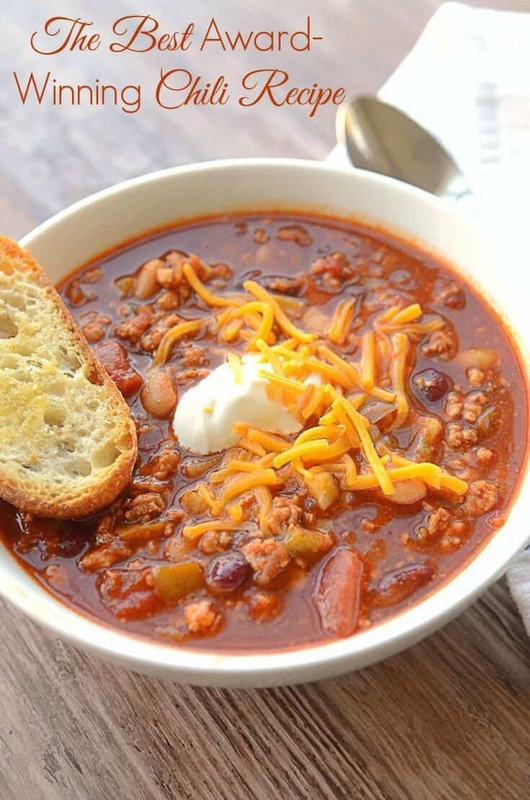 Check the Video tutorial below to see how easy it is to make this Turkey Chili. …these are just some of the numerous reviews people leave under my Chili pin. Not to brag, but it’s seriously AMAZING! A few years ago while I resided in Indiana, the community where I used to live, announced a Chili cook-off. Since I’m a food blogger, I absolutely couldn’t pass on the opportunity to show off my cooking skills. I knew I had to be there and make the best ever Chili recipe to impress everyone. Up until the cook-off, I’ve never made Chili. I don’t even remember if I’ve ever tried it. Nevertheless, I love challenges and with a little research, I created one recipe that came out absolutely perfect from the first attempt. The result of my experimental cooking? My best Chili recipe won the cook-off and everyone was curious to know what I added there to make it taste that good. Here, I’m sharing with you the exact recipe that I won the cook-off with. It has a perfect combination of ingredients and is moderately spicy. You can always regulate the amount of Cayenne Pepper that you add into the soup, but I found that 1 1/2 teaspoons to be the perfect amount. Did I say, you can make this Chili in a Crock pot? I made a few minor tweaks to the recipe and prepared it in my Slow Cooker. The same incredible taste and flavor are guaranteed. You can freeze Chili for up to 2-3 months. Let it cool to a room temperature, place in the airtight container or freezer bag and lay flat in the freezer. To defrost Chili, simply transfer it into refrigerator and let it thaw for about 24 hours. Then, squeeze Chili into a saucepan and reheat until it starts to simmer. How Long Can You Keep Chili In The Fridge? To ensure the optimal freshness, store Chili in the airtight container for 2-3 days in the fridge. When ready to serve, reheat Chili in a microwave or in the saucepan and serve. Russian Solyanka – This hearty dill pickle soup is a meat lovers dream come true. 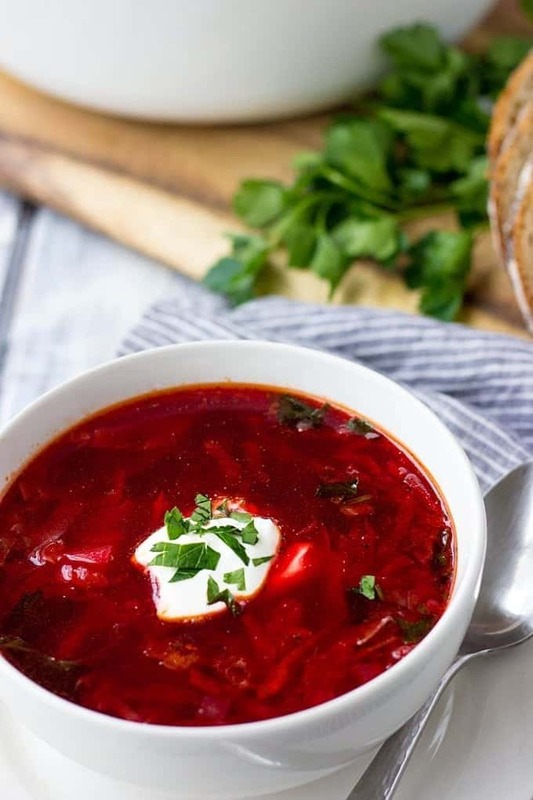 Classic Russian recipe with tons of flavor. French Onion Soup – One of the easiest French soups with minimal ingredients required. And that crusty cheese topped baguette on top…simply yum! 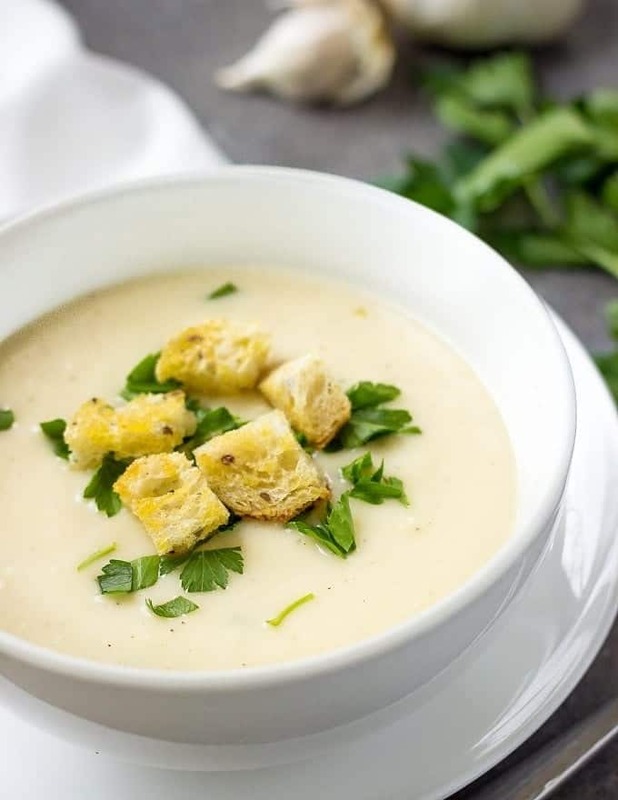 French Parmesan Soup – another comfort food soup recipe that will fill your kitchen with warm and comforting flavors of Parmesan cheese. I seriously couldn’t get enough of it. Dutch Split Pea Soup – hearty and extremely satisfying soup that will keep you full the whole day. Recipe Video Above. This Award Winning Chili Recipe won a cook-off! 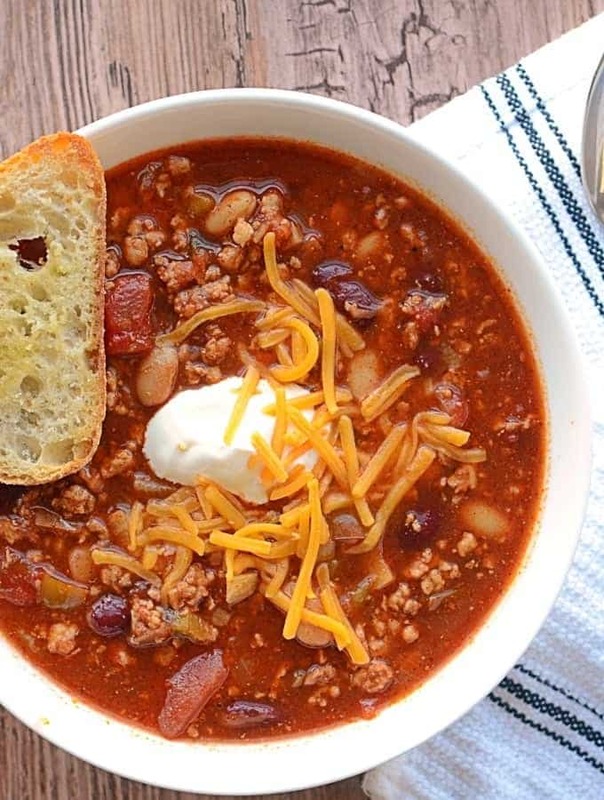 Perfect balance of flavor and incredibly delicious bite make this Chili the best comfort food for the colder weather. Click on the highlighted link to purchase the necessary ingredients. Add cooked meat into a pot with an onion and pepper mixture. Pour in diced tomatoes and beans. Dilute tomato paste with 1 cup of chicken broth and add into a pot. Add chili powder, cayenne pepper, smoked paprika, oregano, cumin, brown sugar, cocoa powder, the remaining chicken broth and ½ teaspoon of salt. Give everything a good stir, cover with a lid and reduce the heat to low. If the soup becomes too thick, add ½ cup of chicken broth. Adjust the seasoning and serve immediately with shredded Cheddar cheese and a dollop of sour cream. Don't forget to download my free European Comfort Food ebook! Made this recipe? Leave me a comment below. I love reading my reader's comments. 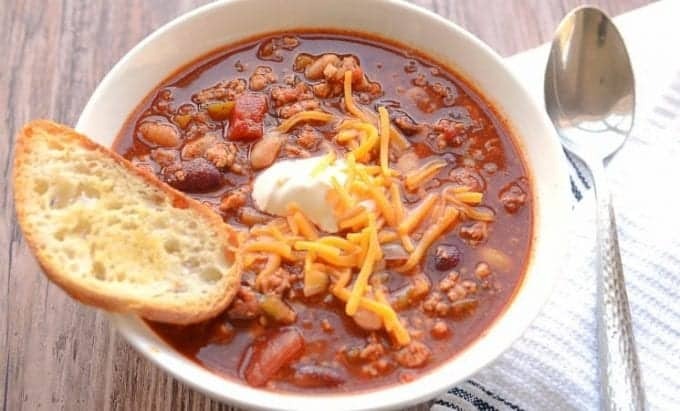 Absolutely perfect chili recipe! I used all ground beef. I was out brown sugar so I used honey instead, just squeezed a fair amount in without measuring and it was a great replacement. I’d say this is medium-spicy, and that’s how we like it around here. I may replace 12 oz. of the broth with a nice carmelly or stout beer next time because I always use it in my chili. My new go to! Thank you Lissa! I’m happy you liked my recipe! That’s interesting that you use beer in chili. I’ve never tried this before so I’m intrigued and need to remember to experiment with adding beer next time I’ll be making chili. I was so anxious to try this recipe. I accidentally purchased ground beef, instead of Turkey, but still used the chicken stock! The chili is already cooking. All I can do is hope for the best, at this point. Will update. Markeda, I hope the recipe worked out well for you. Do you drain the white beans before adding them to the pot? I drained the beans and it came out perfect. Hello. Could I eliminate the meat from this recipe in order to make this vegetarian chili? If so, would I need to change the amounts of any other ingredients? Thank you in advance for your help. Ho Lori! To make it vegetarian I would add one more can of beans (probably black beans), left out 1 can of diced tomatoes and reduced the amount of broth to 3 cups (28 oz). I would also add less of cayenne pepper, probably 1/2 teaspoon. You can always add a little more at the end of the cooking process. Hope this helps! I’m making this tonight but I have ground beef. Would I use beef broth instead of chicken ? Hi Amber! Yes, beef broth is preferable. Thank you for your timely response. I have made this chili twice now. It’s delicious! Thank you for your tasty recipe! You’re welcome Lori! I’m so glad you liked my recipe! Turned out really yummy! I was a little surprised at how spicy it was. Served it with corn muffins 😋 delish! Carina, I’m very glad you liked the recipe! Serving this Chili with corn muffins is a great idea. Hi Sharon! My apologies for the inconvenience! I was doing some technical work on the blog which resulted in the recipes not being visible to the readers. You should be able to access the recipe now. Let me know if there are any issues. Thank you! This is absolutely the best combination of Chili spices I have ever tried. For me it is the spice package that makes the chili and yours is wonderful. My hubs loved it also! Thank you for posting. Thank you for your lovely comment Carol! I’m very glad you and your husband like this recipe! I’ve been searching for a great chili recipe for years, now I’ve found it! This was by far the best chili I’ve ever had. My husband is very picky about his chili and he devoured it! It had amazing flavor, was perfectly thick and chock full of goodness. With 3 small children eating it I cut back the chili powder to 1 Tblspn and didn’t add the jalapeño, but it was still so flavorful! Cara, thank you for your lovely comment! I’m so glad you and your family enjoyed my Chili. I accidentally put 32 ounces of chicken broth that the recipe has written in the ingredients list. Then I realized the instructions say just 1 cup, then maybe another 1/2 cup, depending on thickness. It’s going to be too watery, isn’t it? I’m also doing it in a crockpot instead of stove. No, you didn’t do anything wrong. You’re supposed to add 32 oz of broth. But first you take 1 cup out of the whole amount of broth and dilute that 1 cup with tomato paste. Then you add this 1 cup of broth+tomato paste and remaining broth (32 oz minus 1 cup) into the pot. Additional 1/2 cup is optional if you see the soup is too thick, but it should be fine. I hope I don’t sound too confusing:) Crockpot should work just as fine. Kristin, you can try adding a generous dollop of sour cream in the bowl with Chili and generously sprinkle with grated cheese. That should help. This is very tasty, I know. This is my third or fourth time coming back to use the recipe so I think it deserves a good review from me. This is the best chili I have ever had and I always keep my freezer stocked with it. I like to serve it over rice sprinkled with cilantro & sharp cheddar. It’s one of my family’s favorite meals and I have been asked for the recipe a few times after making it for my daughter’s birthday party. Thank you for sharing this with us! Helen, I’m so happy to hear that you like my Chili! I never thought of serving Chili over the rice, but this is a great idea and I should do it next time too. I’m totally intrigued. I def feel like I have to give this chili a try – its sounds delish! This looks like the most perfect chili ever! I’ll have to give it a try for myself! This sounds fantastic – perfect for a cold rainy day like we have here in Georgia! That looks so very tasty, you can’t beat a good chili and this looks like a real good chili! 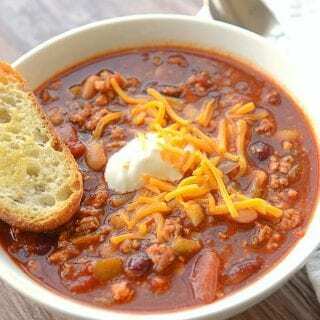 I absolutely love chili and always make double so I can freeze some for another day! I’ve never made it with turkey though, just beef. Have to try your version! Hello! Do you know how I could cook this in the crockpot? Hi Tara! You can definitely make it in crockpot. First step would be to cook turkey in a skillet until no longer pink and all liquid evaporates. Then you can put all the remaining ingredients in a slow cooker including cooked turkey and cook for 4 hours on high or 6-8 hours on low. We just had your chili, it was amazing! Thank you for posting. Just finished making this. It is fantastic! My new favorite chili. The flavors are so rich and delicious. I did make a vegan version. I used Quorn ground crumbles and vegetable broth. Thanks for your comment Kate! I’m so glad you liked my recipe! I’m sure vegan version tasted delicious. Where do you find ground turkey thighs? Is it super important to the recipe? We usually buy ground turkey thighs at Whole Foods, but you can substitute it with ground turkey breast. Hi, could I use ground beef? Sure. Ground beef will work too. Your recipe calls for 2 cans (28 oz) of tomatoes – is that’s a total of 28oz? Or two 28oz cans? Thanks! Yes, that’s a total of 28 ounces. Ugh! I just made it with 2 28oz cans!! It’s simmering. I hope it’s not too funny. Please clarify in the recipe. It’s not clear at all. Hi Amanda! It’s a total of 28 ounces. Sorry for the confusion! You might want to remove a few ladlefuls from the soup to thicken it up. Why 4 TBSP are wrong? I indeed used that amount of chili powder. Just love the look of this chili and the pictures are beautiful – Thanks for sharing!! My kids’ favorite chili recipe that I make has chocolate and allspice in it…it’ll be going on the blog soon. 🙂 Yours looks fantastic too…my family loves chili so we try new recipes all the time! Looking forward to trying yours! Congrats on winning the chili cook-off…very cool! Chocolate? Sound interesting. Would love to try that recipe! We added a little bit of cocoa powder, but the major spice was definitely a smoked paprika. I’ve actually tried this spice for the first time and totally love it.